Are you excited to know Who Will Be Asia’s Next New Food Hero? Asian Food Channel’s and Food Network’s next new Food Hero is set to return in May 2015. Two talents will be selected and given the opportunity of a lifetime to star on either Asian Food Channel or Food Network. Interested participants can visit www.foodhero.asia and sign up for the Food Hero mailing list. Registrants will receive the latest updates and exclusive content related to the competition before it opens to public on 11 May. 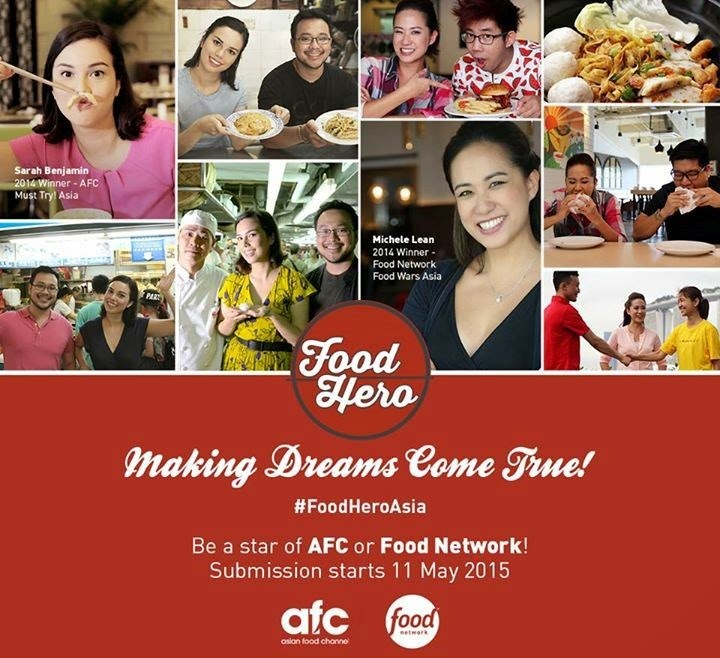 From 11 May – 28 June 2015, aspiring talents will be able to download the new Food Hero application where they can upload video entries of themselves preparing and presenting a culinary dish or introducing their favorite dishes. After submitting video entries, five promising entries will be shortlisted by the Asian Food Channel and Food Network team based on their personality, on-screen appeal and their ability to create engaging and creative content. The shortlisted entries will subsequently participate in a series of online culinary and travel-themed challenges. Four finalists will then be selected and flown to Singapore where they will compete against each other in challenges that will showcase their hosting and cooking ability. Their performance in these challenges will finally determine who will be Asia’s new Food Heroes. The two winners will be announced in September 2015. In 2014, Sarah Benjamin from Singapore and Michele Lean from Malaysia beat over 270 applicants to win the Food Hero title. Sarah starred in Must Try. Last Saturday, Kinohimitsu launched its First Lifestyle Beauty Bar at Parkson 1 Utama, Petaling Jaya, Selangor. This lifestyle concept bar it’s the first and new approach from Kinohimitsu in Malaysia giving customers with an added experience of being able to comfortably browse for their beauty and health needs. The Beauty Bar’s opening provides a personalised, best-in-class service, plus wide product offering. It also features a sleek and elegant décor. The cosy ambiance lifts a customer’s shopping experience. It is a place where a person can sit and chat with the brand’s consultants, while enjoying specialty mocktails made using beauty drinks like the J’pan UV Bright, Beauty Drink, Collagen Men’s and as well as other beauty functioning drinks. All of Kinohimitsu’s products are made of natural based ingredients, and free of preservatives, additives, colouring or hormones. They are 100% safe and manufactured under the most stringent quality standards, with HACCP and halal certification. Recently introduced are the BG Diamond and Collagen Activ drinks that provide health and beauty benefits. The Royal Bird’s Nest, made using a high concentration of genuine imperial swift’s nest, is a perfect gift for celebrations like Mother’s or Father’s Day. Kinohimitsu’s Beauty Bar can also be found in Parkson Pavilion, Kuala Lumpur and Parkson Imago, Kota Kinabalu. Malaysia, Singapore and Vietnam are amongst the first countries to witness its launch, after which the concept will be introduced to the rest of Asia. 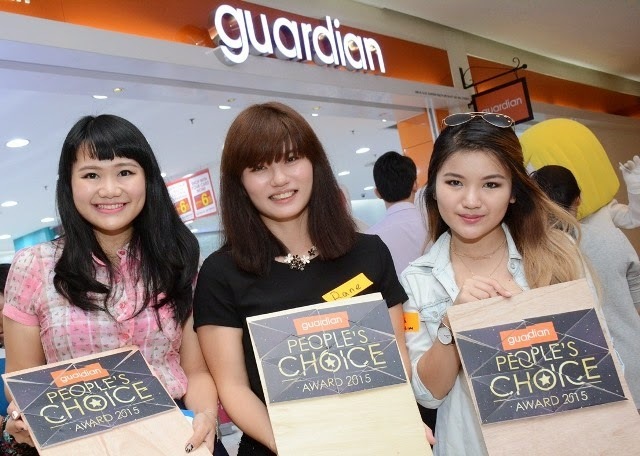 Guardian People’s Choice Award is back! So don’t miss out the chance to vote for our favourite brands while winning amazing prizes. What is in for 2015? Well, this year those who voted stand a chance to win RM50,000 worth of prizes including a Travel Package to Australia as the Grand Prize. Held for the past 14 consecutive years, the Guardian People’s Choice Award 2015 has recently introduced the Teens Choice Award to acknowledge a growing trend among teenagers, who take pride in making informed choices for their health, beauty and personal care items. The contest will take place from 4 to 28 April 2015. To enter, you need to make any purchase in-store or from Guardian Online, no minimum spend is required. 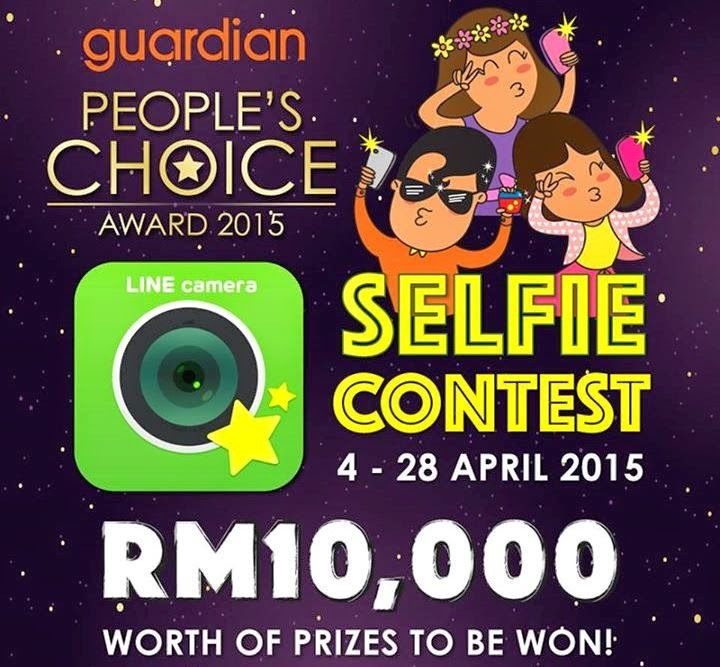 You can submit their entries via contest forms available at Guardian stores nationwide, or visit www.facebook.com/guardianmalaysiato register and vote for your favourite brands online. Remember to keep the receipt for winners’ verification and prize redemption. In the Teens Choice Award category, participants must be between 13 and 19 years to be eligible to vote for their favourite products. Guardian has allocated exciting prizes of a 13-inch MacBook Air worth RM3,499 as the Grand Prize, two first prize winners will receive an iPhone 6 worth RM2,549 each and the second prize winner will win a PlayStation 4 worth RM1,549, giving a grand total of RM10,000 worth of prizes to be won. What is even more exciting in the Teens Choice Award is participants can enter for free with no purchase condition required. There are 60 participating categories and close to 300 products this year for the People’s Choice Award and the Teen Choice Award ranging from hair care, face care, personal care, cosmetics, beauty, hygiene, supplements & medication, mother and child products, confectionery as well as home & accessories. They say ice cream not only melt the heart but also the mood and soul? Agree… Well, we see people sharing their happy moments eating ice cream together as well as get over their sad moments or breakups binge the whole tub of ice cream. Well, I received a surprise gift after my breakfast meeting with a company. Reached home snapped some photos and straight away dig in! the new Banana Chocolate Brownie Ice Cream from Haagen-Dazs. Say hello to the new dessert in a Pint! Imagine savoring the creamy, generous and luxurious chocolate fudge, banana, fresh brownie pieces all in the decadent delight. The banana ice-cream is crafted from 100% real cream and milk from France, and bananas sourced from Costa Rica and Panama. It is then folded with rich chocolate fudge and pieces of chocolate brownie. I like the whole combination of indulgence, I can’t get enough with one scoop, I want the whole tub. Awww…. Love it! I believe we are more eco-conscious and prefer more environmentally-friendly beauty products that use natural ingredients. 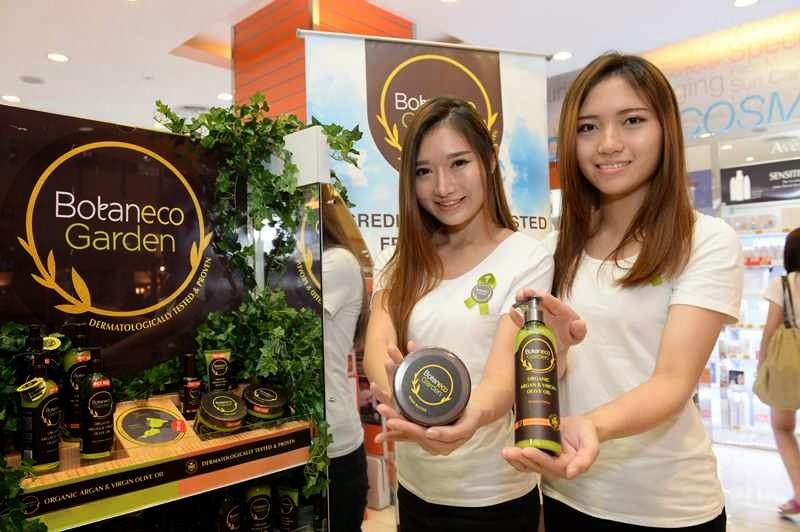 Recently, Guardian launched the new Botaneco Garden Organic Argan & Virgin Olive Oil Hair & Body Collection, at a botanical garden themed event at Delicious, Sunway Pyramid that reflected the collection’s ingredients that are harvested from nature. 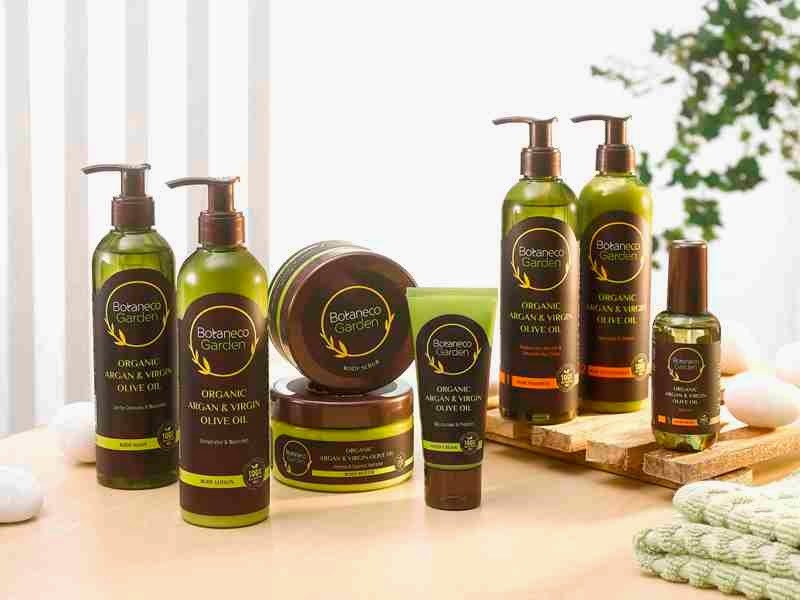 The Botaneco Garden Organic Argan and Virgin Olive Oil collection is free from harmful chemicals such as parabens, soap, artificial colorants, SLS and lanolin giving consumers who are health-conscious and environmentally-friendly, peace of mind. Botaneco Garden range reflects Guardian’s brand promise of ‘Trust + Passion + Inspiration’. The Botaneco Garden Organic Argan and Virgin Olive Oil collection is not added with harmful ingredients such as parabens, soap, artificial colorants, SLS and lanolin giving consumers who are health-conscious and environmentally-friendly, peace of mind. 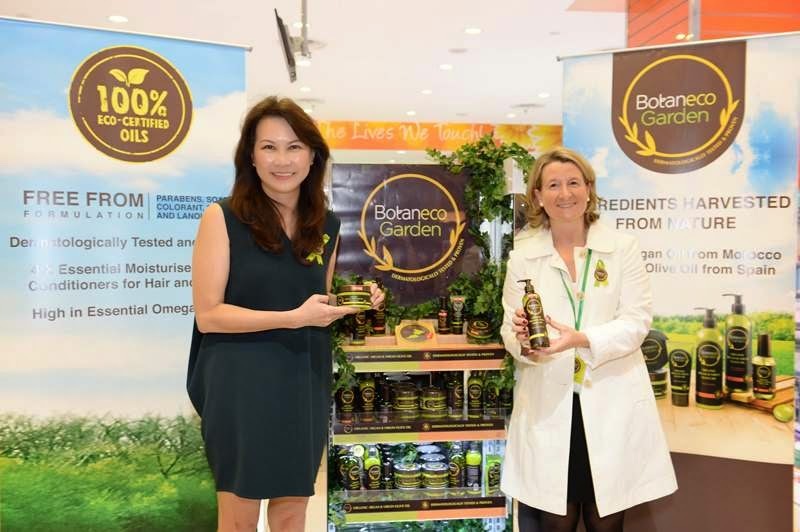 (From L-R): Ms Loi Liang Tok, Chief Executive Officer of Guardian Health & Beauty Sdn Bhd and Mrs Segolene Defline, Corporate Brand Director of Health & Beauty at The Dairy Farm Company launched the new Botaneco Garden Organic Argan & Virgin Olive Oil Hair & Body Collection. The high dose of fatty acids in argan oil such as Omega-6, Omega-9, vitamin A, tocopherol and linoleic acid can provide soothing, anti-aging, anti-oxidant and moisturizing properties to skin . It can make hair look shinier, eliminating limp tresses and strengthening the hair, increasing manageability, reducing breakage, preventing frizz and split ends. Olive oil is packed with anti-oxidants such as squalene, that is known for its skin health benefits that can help repair skin damage. The natural conditioner properties of olive oil add moisture to the scalp for soft and shiny hair. Adding to the skin and hair benefits of the body and hair care collection is a blend of botanical extracts, butter, oils and vitamins that provide 4 times the essential ingredients to optimize moisturisation and conditioning performance. The Botaneco Garden Organic Argan & Virgin Olive Oil Hair and Body Collection has been dermatologically tested and proven and is safe for use on almost all skin types. Ms Evelyn Tay (left), Guardian Beauty Ambassador trainer, detailing how and when the Botaneco Garden Organic Argan & Virgin Olive Oil Body Collection should be used to maximize the benefits of the ingredients. After the product presentation and there were a hands-on workshops on body care techniques by Guardian Beauty Ambassador trainer, Ms Evelyn Tay and a hair care workshop by A Cut Above, Head of Academy, Mr. Peter Wong. The workshops showcased the full range of Botaneco Garden Organic Argan and Virgin Olive Oil collection, detailing how and when the products should be used to maximize the benefits of the ingredients. The Botaneco Garden Organic Argan and Virgin Olive Oil collection is available nationwide at all Guardian outlets and e-store at prices range from RM2.89 to RM23.90.